The OLYMPUS CIX100 technical cleanliness control system is purpose-built for reliable, efficient cleanliness inspection with an intuitive interface that provides step-by-step guidance to users, helping ensure that manufacturers can maintain high quality standards without disrupting their workflow. 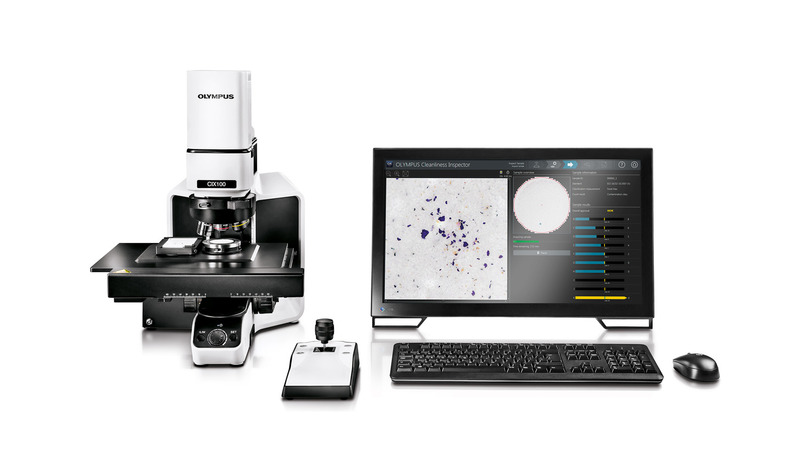 The advanced hardware of the OLYMPUS CIX100 inspection system is fully integrated with a redesigned, intuitive user interface and powerful software. Dedicated workflows guide inspectors step-by-step through the entire process, so even inexperienced users can generate reliable results. This minimizes inspection and overall process time. The system comes loaded with all of the major standards used in the automotive and aerospace industries, and companies can easily input and use their own standards.